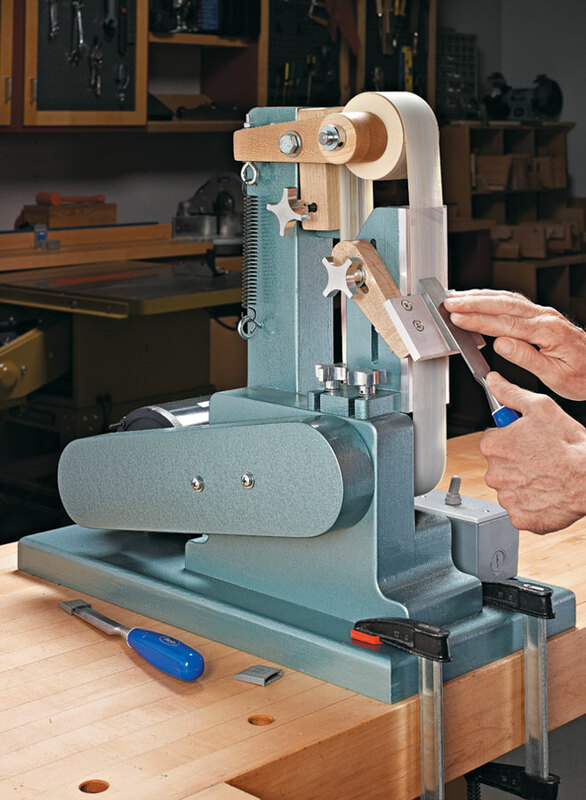 This shop-made belt sander is a great solution for a wide variety of jobs working with metal and wood. 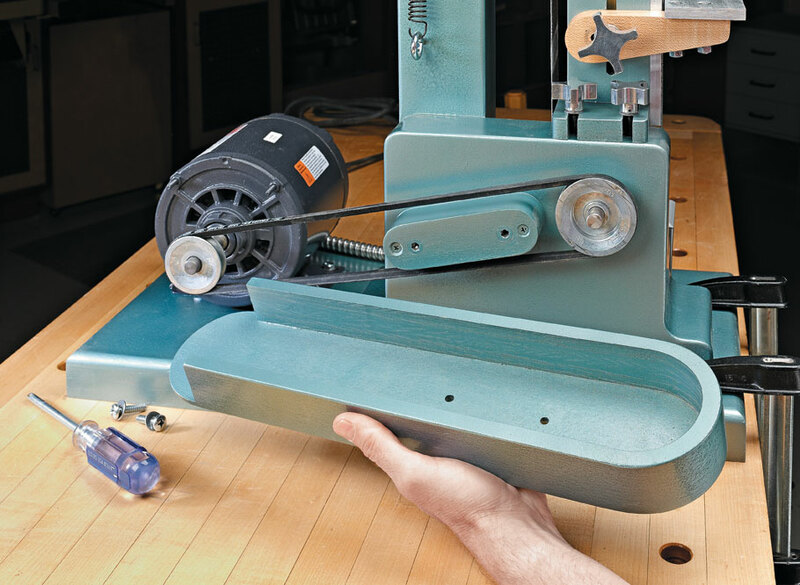 The best feature of the belt sander is its simplicity. 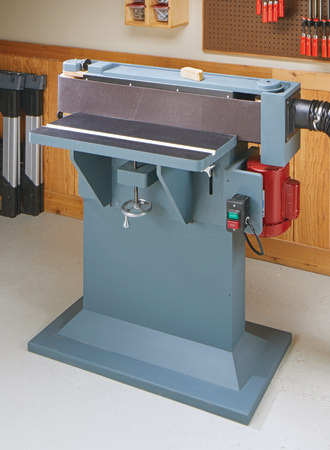 A 1/3-HP motor drives the 2” x 36” abrasive belt around two wheels. 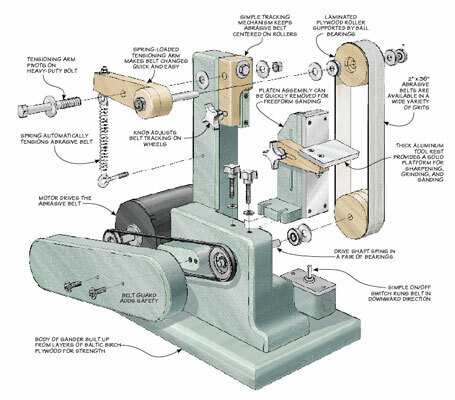 A built-in tracking adjustment and automatic tensioning keep the belt in line. And belt changes take about ten seconds. What more could you want? 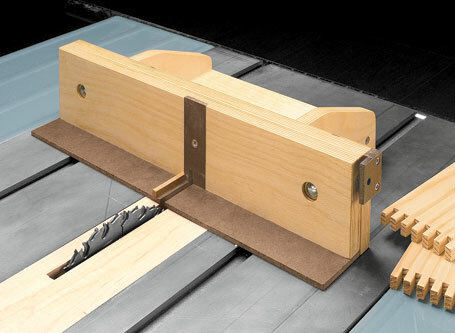 Perfect box joints every time? 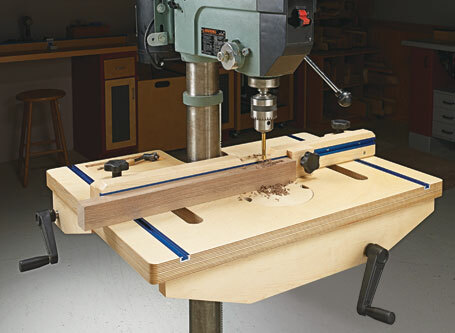 With this fully adjustable table saw jig, now it’s possible. 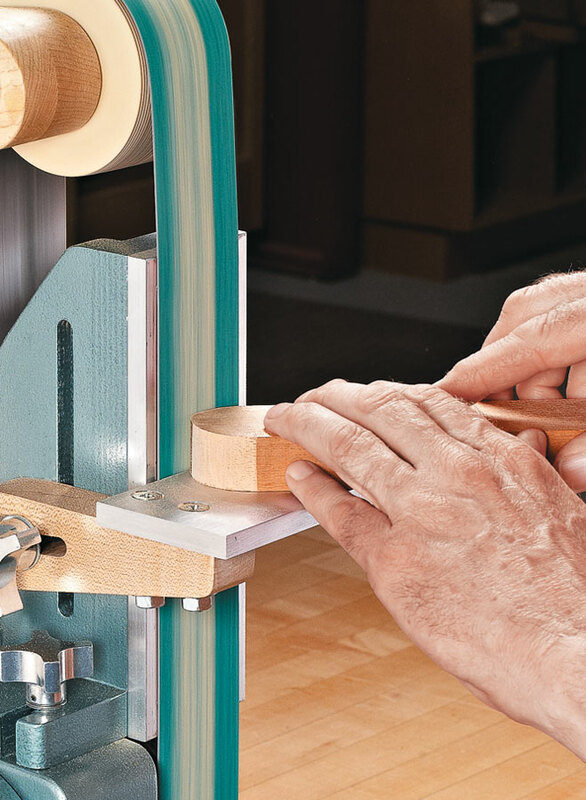 This shop-built edge sander makes quick work of tough sanding jobs. Plus, it can be built at a fraction of the cost of a commercial unit.